"Each generation must out of relative obscurity discover its mission, fulfill it, or betray it." Carding is an act of state and police violence. It must end through the mass refusal of the people of Toronto, especially Afrikan* Canadians, other racialized peoples and the white working-class, to share their personal information with the cops. The Toronto Police Service is using the surveillance and rights-denying regime called carding to stop, question and document the personal information of people who are not suspected of a crime. This repressive policing tactic has been disproportionately used against Afrikan Canadians and targets racialized working-class communities across Toronto. The cops claim that carding is an investigative and intelligence-gathering tool that is used in high crime neighbourhoods. According to the Toronto Star, "...only a small percentage of the people in their massive electronic database have been arrested or charged in Toronto in the past decade." Afrikan Canadians are stopped in low-crime, predominantly white, class-privileged areas of Toronto at a rate of up 17.3 times that of their white counterparts. Racial profiling is both a means and outcome of this form of apartheid or Jim Crow policing that is a classic form of social containment, over-surveillance and repression. 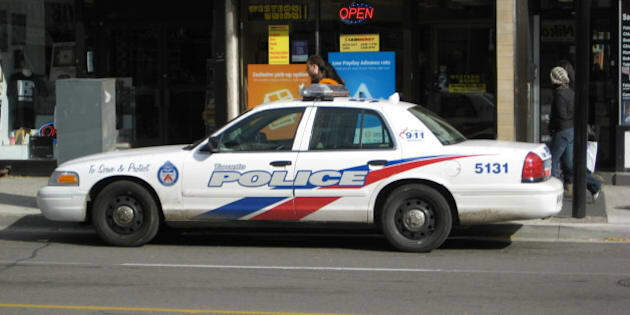 The move by the Toronto Police Service Board (TPSB) to make carding more palatable with its April 2014 so-called "proactive rights-based approach" policy to its recently amended (April 16, 2015) human rights-compromising stance are attempts at pacifying the demand from the Afrikan community for an end to carding. This carding regime is very much dependent on psychological detention to extract information in these non-criminal encounters. There is definitely growing public opposition to carding in Toronto. In January 2015, a poll of 2,320 Torontonians revealed that 47 per cent were opposed to carding, while 42 per cent were supportive. However, in May 2015, the people in the city who are calling for an end to carding stands at a solid 60 per cent, while those who would like to retain it are now at 29 per cent. As more information about carding becomes available, the opposition to it is getting greater coverage on radio and television and in newspapers as well as on social media. What is the best way to end carding in Toronto? The minimal police accountability reform in the city of Toronto since the 1980s emerged from popular mobilization and protest actions; essentially resistance from below. The less repressive policing of the queer community came out of popular mobilization in response to the homophobic bathhouse raids in 1981. The adoption of the civilian complaints structures, commissioning of the Clare Lewis-led Task Force on Race Relations and Policing and the establishment of the Special Investigations Unit would not have happened without community-based organizations mobilizing or organizing to limit or eliminate police violence. In the wake of the adoption of the current carding policy by the TPSB, the Law Union of Ontario is committed to challenging it in court. It is the group's belief that the Charter of Rights and Freedoms and other legal instruments are being violated by the carding regime. The Ontario Human Rights Commission's Interim Chief Commissioner Ruth Goba might also be contemplating legal action against carding, "We will continue to explore using the full range of powers at our disposal to end this practice." If we are interested in building the resistance capacity of Afrikans and other peoples to resist state/police violence, the exclusive reliance on a legal strategy will only affirm the power and privileges of lawyers, the provincial legislature in Ontario, judges, cops and the TPSB. If carding ends through the above route, the targeted groups would not get a measure of and demonstrate their collective power. Furthermore, they would not develop the knowledge, skills and attitude that are necessary to collectively reject carding in the streets and force its abandonment by the state. Carding should be dumped into the cesspool of history through a mass refusal carding campaign that organizes Afrikans, other racialized peoples, Indigenous peoples, and the white working-class who are the main targets of carding. Carding will end in Toronto when we en masse stop giving our personal information to the cops. However, we need supportive programs to defend the members of the community when they assert their right to not give the requested information to the police. The cops are not used to "the wretched of the earth" refusing to comply with their unwarranted aggression and bullying tactics. They will likely resort to violence when faced with the people asserting their rights as happened to four Afrikan teenagers in Lawrence Heights. The mass refusal carding campaign should include a number of integrated components: community-directed cop watch program; utilize a smart phone app that records interaction with the cops; create a roster of lawyers to act as first responders when carded people are arrested; develop neighbourhood groups to organize, coordinate and implement the local campaign; construct an outreach and communication strategy to bring residents into the street when the cops enter community spaces; develop an educational strategy to equip the people with the relevant knowledge, skills and attitude to terminate carding as well as to carry out public education; establish a pool of sureties for bail purposes; and apply a strategy of suing the city and the police when the people's rights are violated. Carding is a national problem and a Canada-wide movement is needed to combat it and other forms of police violence. Frederick Douglas reminds us, "If there is no struggle, there is no progress." *"Afrikan Canadians" or "Afrikan" refers to all people of Afrikan racial ancestry living in Canada and is inclusive of those born in Canada, Afrika, the Caribbean or elsewhere. Afrikan is spelled with a "k" because most Afrikan languages follow this convention.